The MPMM™ Professional Edition contains the following unique software features which help you navigate the wealth of information quickly and easily. The Display Tabs link you to Life Cycle activities, document Templates and Examples. They also allow you to access the Roadmap, Tutorial and Help content. 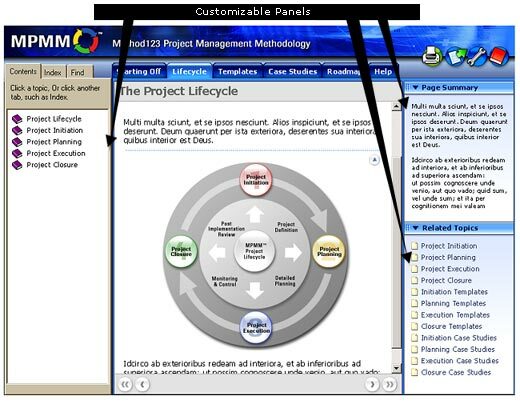 The Navigation Panel contains a hierarchy of information, allowing you to navigate directly to any activity, template or example within the MPMM Project Life Cycle. You can access every page in this product by drilling up and down through the content hierarchy in this panel. 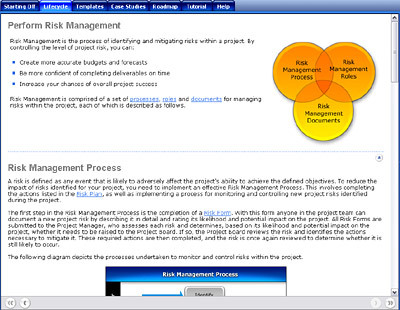 The Page Summary Panel summarizes the content currently displayed in the Display Panel. It helps you grasp the content quickly without having to read the entire text. 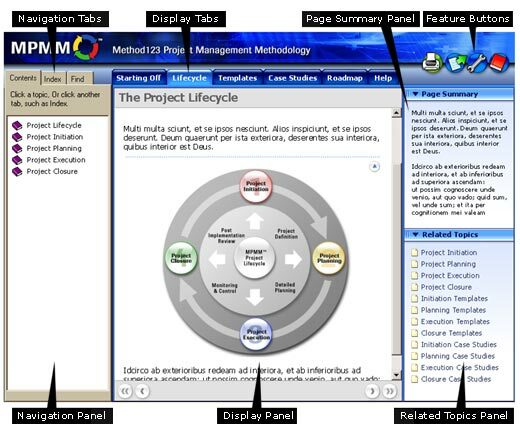 By reading a summary of each page, you will quickly get your bearings on each phase, activity, task, template and example included in the MPMM Project Life Cycle.